An excerpt from a beautifully and informative book by Donna Eden, “Energy Medicine – Balancing Your Body’s Energies for Optimal Health, Joy, and Vitality”, blended with a few of our own contributions for your knowledge power. The term Energy Medicine is being used in many ways today, ranging from the introduction of ancient Shamanic healing practices into modern cultures to the use of powerful electromagnetic, plasma, tachyon, quantum, and other technologies. It embraces lawful principles and mysteries; routine procedures and artistry; matter and spirit. Energy medicine is the best term we know for describing the growing number of approaches where an understanding of the body as a system of energy is being applied for promoting healing, health, and well-being. Energy medicine is the art and science of fostering physical, psychological, and spiritual health and vitality. It combines rational knowledge and intuitive understanding of the energies of the body ad in the environment. Cultivating your capacity to weave these energies can make you a more conscious and sensitive instrument of energy medicine than all other technologies combined. By focusing on your body as a living system of energy, you begin to realize that the technology for powerful energy interventions is already inherent in your hands and in your being. In Energy Medicine, Energy is the Medicine. Medicine is an agent that is used to heal or prevent disease. Your body’s energies know how to mobilize themselves to respond to all manner of illness and threat, bringing the purest and most natural elixir that exists to care for your maladies. Energy gives life and love to the body. In Energy Medicine, troubled energies are the patient. The energy systems that attempt to adapt to a world of stresses, pollutants, and information overload unknown to your ancestors become overwhelmed and confounded, settling for health-threatening compromises, and requiring significant repatterning if you are to fully thrive. Energy medicine is able to bring about such repatterning. The return of Energy Medicine is one of the most significant cultural developments of today, for the return of Energy Medicine is a return to personal authority for health care, a return to the legacy of our ancestors in harmonizing with the forces of nature, and a return to practices that are natural, friendly, and familiar to boy, mind, and soul. 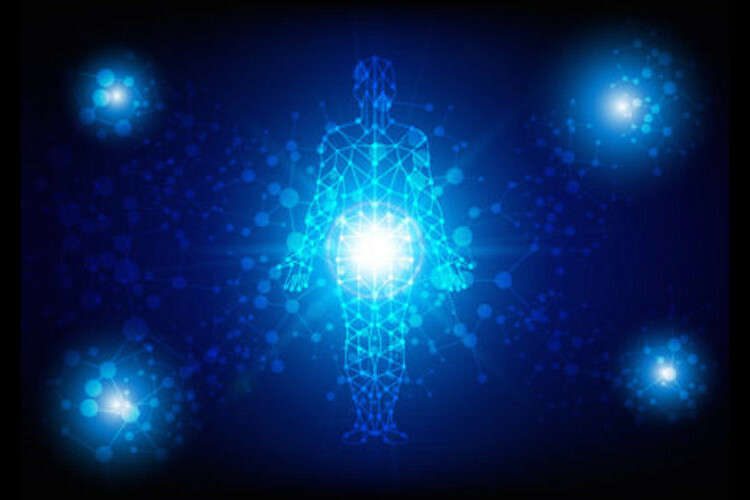 Regardless of the fantastic technologies that have already been introduced, the essence of Energy Medicine will always be the energy systems that make up the subtle infrastructure of every body. What exactly is Energy Medicine and what benefits does Energy Medicine offer that people cannot gain from conventional medicine? While these may appear to be questions that can be answered simply, they are not. They represent the fact that we have entered an energetic era in which we will redefine our understanding of ourselves. Soon we will come to know ourselves as multisensory, rendering obsolete the belief that we are five-sense creatures. No longer will we speculate about whether our thoughts and emotions have creative authority within our cell tissue; we will come to consider that form of perception one of the central truths of life. We will view as ordinary such treatments as the laying on of hands and the use of healing oils, sounds, images, and technologies not of this planet. The belief that repressing an illness through drugs is of use to the healing process will come to be seen as harmful rather than beneficial. And when shall we expect such changes to occur? Dramatic shifts in medicine and healing are happening all around us RIGHT NOW. Our society has shown respect for the holistic movement and energetic medicine by its undeniable results, its growing interest in learning more about this field, and choosing to engage in alternative healing methods for diseases. Research and studying the impact of thoughts and emotions in relation to the physical body increase continually, and again and again, the results indicate that the body/mind/spirit system is the accurate portrait of the human being. The very first practitioner of energy medicine is YOU, the one who inhabits the body being cared for. Using the principles of energy medicine you can optimize your body’s natural capacities to heal itself an to stay healthy. You can bring renewed stamina to a tired body, fresh vitality to a weary mind, and new bounce to a sagging spirit. You can manage your energies to more effectively meet stress, reduce anxiety, and free yourself of many ailments. In addition to healing yourself, you can apply what you learn to benefit family members and other loved ones, as we send out a vibrating ripple effect of loving, healing energies. To cultivate these abilities, you will be learning language your body already speaks and understands – the language of energy. You are, in fact, required today, when virtually everyone’s lifestyle has become so alienated from the natural order, to live a conscious partnership with your body’s energy systems if you are to live fully. Your body is an exquisitely engineered, energy-driven, energy –managed machine. Our energy systems evolved in resonance with our anatomy and our environment over millions of years, but the environment has changed radically since the advent of industrialization. We evolved for a world that hasn’t existed for centuries. This, however, is but a blink in the evolutionary eye, far too short a period for natural selection to have updated the arrangement, so we adapt to the industrial and postindustrial world with energy software that was designed for living In the wild. Nonetheless, your energy system strides on as the intelligence that animates millions of processes in your body every second. Each cell emits and responds to electrochemical signals in an unimaginably complex and coordinated dance that keeps you breathing, keeps your heart pumping, your food digesting, your eye blinking, and your tissues safe when microorganisms invade. Your mind is not required to assist the larger full-bodied intelligence of your energy system in accomplishing these feats. However, the costs of attempting to adapt to an environment for which our bodies did not evolved are seen everywhere. Our immune systems keep us safe by attacking what they do not recognize, and they evolved over millions of years with a finite number of foods and few foreign particles in the air. Now with tens of thousands of artificial chemicals in our food, high concentrations of pollutants in our air, and harmful EMF technology-induced electromagnetic radiation everywhere, the immunize system is on a continual alert, a “code orange”, sometimes “code red”, emergency response that drains your energy and depletes your life force. Meanwhile, the unyielding stress of daily life triggers another type of emergency response. We are always on the edge of the fight –or-flight response. While this heightened state is one of nature’s most brilliant achievements, it is now being called to manage all forms of stress for which it was never designed, from an argument with your spouse or child, stress or anxiety at work, the relentless politics or economic conditions, or a malfunction of your computer. In attempting to adapt to an environment for which it did not evolve, an environment that is biologically unfamiliar, your body’s energy intelligence is operating outside its scope of competence. It is required to make compromises, and such compromises often have costs. Chronically marshaling extra energy for the immune or fight-or-flight response tends to undermine your overall health and vitality. Energy runs in your established patterns or habits. Left to their own devices in the modern world, your energy systems must rely on patterns out of resonance with the environment. If you are to thrive, you must participate in the evolution of your body’s energy patterns, creating your blueprint for transformation and healing. This is where the intelligence of your intellect can assist the incredible - though outdated - intelligence of your body and its energy systems. We are increasingly required, with our lifestyles so disconnected from nature, to live in conscious partnership with our body’s energy systems if we are to live fully and healthfully. Fortunately, it is easier than you might think to update your body’s energy software to adapt to the world in which you live. Energy Wellness Partners provides you with various technologies to rid your body of harmful microorganisms which are the culprits of all dis-ease, as well as simple techniques you can self-apply to shift ineffective or harmful energy patterns that have grown out of compromises within the strange, unnatural, stress-filled environment in which we live. In the process, you will mobilize inner forces that enhance your health, empower your mind, and literally brighten your spirit. The new you, the new energy, is now.